A home is one that offers you a premium lifestyle with all the possible comforts, is pocket friendly and one that takes you closer to your aspirations of owning a home. Several people are now recognizing the advantages of buying a second home in semi-rural areas. After all, a second home nestled in the lap of nature not only gives you a weekend retreat for yourself and your loved ones, but also offers the option of earning good investment returns in the near future. Known as the land of sun, sand and sea, Goa has the perfect milieu that one could choose for a second home, mainly purchased for the purpose of retiring in peace and tranquility, the state has a number of places to offer for the purpose. The decision to buy a second home is foremost driven mainly for family leisure. The villages in Goa suit perfectly for such a purpose, and what makes purchasing weekend homes attractive is the fact that new locations have opened up, which offer a package deal with the best of facilities, sound connectivity and developing infrastructure. The weekend home trend has picked up to a great extent. People are now looking onto second homes as a new investment option as the property is bound to appreciate in future and that serves the dual purpose of investment as well as leisure. Money invested in real estate never goes down, there has always been an upward movement in this sector and the same will be in the future. The demand for second homes has been increasing steadily. With improving incomes, people have begun spending towards second. There are a number of people who prefer investing in real estate as an option for creating diversification of their overall investment portfolio. Therefore, surplus income is invested into second or multiple residencies. In order to attract buyers, the developers also agree to customize the properties as per the buyer and take responsibility for its maintenance. The state is free from negative elements such as communal violence and the alike, making this place a comfortable and stress free place to retire in, shares an investor. Coupled up with the best of reselling, renting as well as leisure options, weekend homes are worth investing in. The scenic atmosphere and tranquility of a weekend home can be your best getaway from the chaos around. The national capital’s satellite township of Gurgaon, is currently witnessing a growing trend of high rise residential apartments in its skyline. As much as 60% of the total population residing in Gurgaon lives in these high rise societies built by private developers like DLF, Unitech, Emaar MGF, among several others. Most of these colonies are gated domains; the trend is gradually shifting from individual plots to gated colonies, add experts, who add that more such residential high rises will come up in new sectors under the Master Plan 2025 which is still to be notified. Individual homes have issues concerning security, maintenance and cost of construction on plots, which are many times higher compared to owning an apartment. This is because the land prices are at an all time high and affordability is prime concern, especially when it comes to the middle-income groups. The new draft development plan-2025 of Gurgaon-Manesar Urban Complex will cater to the needs of a projected population of 39.7 lakh, compared to the earlier notified plan of 2021, which was planned for a population of 37 lakh. Under the new plan, the area covered has increased from 37,069 hectares to 37,314 hectares, of which 15,009 hectares has been reserved for residential purposes, which was 14,930 hectares earlier. Out of 12 projects announced in the new sectors, nine are residential highrise apartments while only three are individual plots and villas. 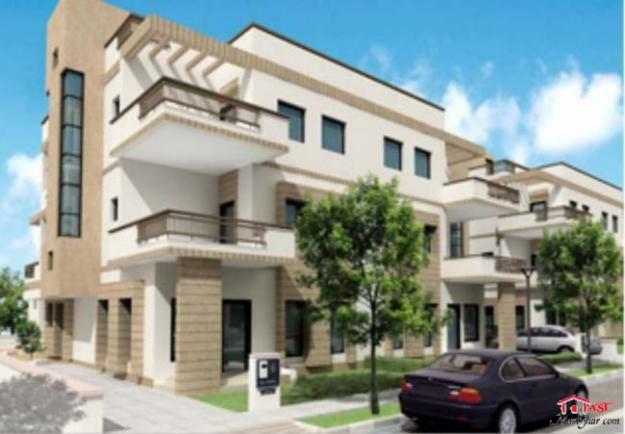 Individual villas in these projects are 3/4/7 BHK and of price range between Rs 1.75-3.05 crores for areas ranging from 2,500-5,889 square feet, depending on the location of the project. On the other hand, residential apartments of 2/3/4 BHK projects with average areas between 1,600-2,200 square feet are priced in the range of Rs 50-70 lakh. There is a practice of some large- and mid-sized developers accepting cheques for booking amount, without disclosing the rates per square feet and creating urgency amongst customers. In a recent case of a launch of a project by a big realty player, the initial rate at the time of launch was Rs 6,000 per sq ft and is believed to touch Rs 6750 per sq ft and may cross Rs 7,000 per sq ft in less than a month. So, the investor would have gathered in his moolah in less than a month, leaving end users to go through a fair share of costs like appreciated values, brokerage fees, etc. Generally, real estate bookings are made at the pre-launch stage by investors. It is typical of brokers to feed their investor groups with information on where they should invest. These investors are only interested in trading, where property value escalation allows them to make fast money. This goes down well with the builders who get ready takers for their projects. Only the genuine buyer, is the person who gets sidelined and has to fend for himself by going through middlemen. So, the cue for the end users is to be aware of projects to be launched in the areas of choice. Another one is to keep in touch with brokers, and be informed of the exact time and date of project launches. But, the best deal in the market is to be the investor yourself. If one books the property at soft launch stage, it is possible to leverage on many discounts which are given out during this period. The end user should look for a reliable name, location and book a unit in a project while it is being launched. This way one manages to save money while there is clarity in the property documentation process. Real estate is the new sinkhole for a large portion of unaccounted money,being put into the market. And this is one reason why there will be no recession here, India can rest easy! Where Are The Affordable Houses? Land is one of the major factors affecting affordable housing — be it land availability, land-accessibility or cost of land, the question always comes into the picture when plans for a housing-project are drawn up. Land factor plays such a vital role when affordable housing projects are concerned, it only underlines the importance of planning and provision of substantial portions of land on which such housing projects may be developed. With land prices within Chennai ever on the rise, the Chennai Metropolitan Development Authority (CMDA) had to make a few adjustments to help establish affordable housing in the city. “While preparing the 2nd Master Plan, we have taken into consideration the high land value and construction cost. The review of space standards were made and the plot size for residential construction has been brought down from 90 square metres to 80 square metres. For EWS (Economically Weaker Sections) it is retained as 20 square metres in Chennai city and 40 square metres in the rest of the Chennai Metropolitan Area (CMA) “, says Susan Mathew, vice chairman of CMDA. Cross-subsidization is another strategy adopted by the CMDA to combat land prices and rising costs, which stipulates a minimum of 20-25% of developed lands in housing projects for Economically Weaker Sections and Lower Income Groups. This strategy has takers, as cross-subsidization is being looked upon as an effective method of making land and building material affordable to those belonging to LIG. While measures like reduction of plot size and cross-subsidization may be encouraging, there are those who believe that land availability is not the only decisive factor of affordable housing, it is infrastructure, at the end of the day that plays the biggest role in affordable housing. Facilities onsite, transport connectivity, sewage and basic amenities can determine whether the land in question is viable enough for the establishment of a housing project. Investment in infrastructure is a basic and non-negotiable requirement for affordable housing, new sources of power generation, recycling waste water, investing in roads, public transport and social infrastructure like colleges, schools, hospitals and markets facilitates affordable housing. Chennai is the 4th largest metropolitan city in India and the total population of Chennai Metropolitan Area (CMA) as per 2001 census is 70.41 lakhs and the total number of households as per 2001 census in CMA is 16.19 lakhs and the total number of housing units in CMA is 15.83 lakhs. The National Urban Housing and Habitat Policy, 2007 stipulates 10-20% of land in every housing project or 20-25% of FAR reserved for EWS/LIG housing. The Jawaharlal Nehru National Urban Renewal Mission (JNNURM) launched by the government of India stipulates a minimum 20-25% of developed lands in housing projects for EWS/LIG housing with a system of cross-subsidization. It is mandatory on the part of the developers to reserve at least 10% of the site area and provide houses for Lower Income Group with dwelling units not exceeding 45 sq m in cases of large-scale developments exceeding 1 hectare. This rule was brought in the SMP to encourage EWS and LIG housing developments. Bellevue — the Phase 1 condominium towers of Central Park II in Gurgaon has been creating stir in the buyers in Gurgaon, for the infrastructure it provides. “Bellevue is a rare example in India to have obtained quality certificates from Grant Thornton, Jones Lang LaSalle-India, KCB Associates, Dema Consulting and Manu Jain leading auditors and consultants. These certificates carry seal of approval from the consultants on specifications relating to the construction quality and the structural integrity of Bellevue. Certificates are going to be handed over to each apartment owner at the time of possession” says Vineet Nanda, vice-president of business development at Central Park. Bellevue, comprising over 400 exclusively-designed apartments of 2,350 square feet to 4,650 square feet, offers modern range of amenities. These apartments overlook the swimming pool and the sprawling greenery on one side and the Aravali skyline on the other. The amenities offered by Bellevue include an amphitheatre, a basketball court, tennis and badminton courts, power backup, double-level basement parking, solar water-heating, fire safety systems, highspeed communication networks and beautifully designed park and play areas for children. State-of-the-art construction technology, known as Mivan shuttering has been used in the project, to impart solid structural integrity and a high-degree of seismic resistivity. The project has been designed by one of the world’s largest and well-regarded architectural firms HOK (formerly Hellmuth, Obata + Kassabaum). Bellevue is very close to the heart of the Gurgaon city centre, IFFCO Chowk, the Metro station and the international airport. Central Park is jointly promoted by Amarjit Bakshi and K S Bakshi. It also has Ashmore PLC, a leading international PE fund based out of UK as a third partner with an equity participation in the company. Currently, Central Park has over 2 million sq ft of existing development and another 6 million sq ft are in an advanced stage of planning and execution across verticals like upscale residential development, hospitality and Special Economic Zones. The company has the distinction of being a ‘Zero Debt’ company and its market cap is valued at over Rs 5,750 crore by the PE fund. Recently, the home loans market is witnessed shift as the Reserve Bank of India (RBI) made efforts to tame inflation. After withdrawing their teaser loan schemes earlier, the leading banks have hiked prime lending rates and their floating rates, particularly for their existing customers. However, since the principal burden is higher during the initial years the overall cost of borrowing was lower to that extent. With the interest rates moving up on the back of periodic RBI moves to increase repo rates and reverse repo rates, the mortgage rates have already moved up by an average of 150 bps over the last 12 months caused the axing of the teaser home loans. Also, recently the Loan-To-Value in home mortgages being capped at 80% by RBI, home buyers will have to fork out 20% of the capital cost. Hence, the total cash burden in the initial years would substantially go up for the buyers. Secondly, the axing will bring about greater transparency in the system of dispersing loans. The developers, however, maintain that such moves, even though beneficial for home buyers, will not have any significant impact on the realty market. Manoj John, Vice-President, Corporate Planning and Strategy, RNA Corp, says, “The move will have somewhat negative impact in the form of higher EMIs. The teaser home loan scheme was very beneficial to a home buyer as it was introduced during a time when the economy was recovering. These schemes were good for those with mid-size budgets or lower income bands providing some relief on their cash flows for the first few years, allowing customer to buy their dream home. According to realty experts, doing away with the teaser rates is a prudent move for the current situation, keeping in mind the overall asset price inflation and increasing interest rate. “Though the discontinuation of teaser loans may lower home buyer confidence but will bring in more clarity and there could be possibility that floating rates may benefit buyers in the long run”, says Shailesh Sanghvi – Director, Sanghvi Group. If developers and realty experts are to be believed then the home loans market in India will continue to grow “selectively” though it may witness some dip. Also, the consumer in recent times has become more conscious of recent instance of malpractice in lending to a few real estate companies. The mortgage penetration in India is still far lower than most developed economies and the home loan markets remain robust. As the Delhi metro rail moves to the various parts of the national capital region, easing the day to day life of locals in the capital, market watchers term it as a perfect opportunity to expand its real estate business. Most of the people are seeking rental accommodation close to metro stations, which is making life comfortable and better for them. It is has also boosted the demand for rental accommodation as well as commercial properties close to metro stations. As the metro network expands beyond the capital, it is has improved infrastructure and real estate demands. Ghaziabad is one such example, with metro touching Anand Vihar and slated to move into Vaishali and Vasundhara in Ghaziabad soon, the realty scene of the entire area has suddenly witnessed a major change. The Delhi metro network has served to be a huge relief to large number of daily and occasional commuters, who had to struggle to reach their destinations due to a poor public transport system and chaotic traffic. Metro’s ingress into NCR cities would prove to be a game changer for realty players, and the metro factor has led to the increase in demand for flats of almost all the realty firms, said Anil Sharma, CMD of Amrapali group. While the Metro is on the move, there is still a great scope to improvise its service. Antillia, Mukesh Ambani’s 4500 cr Altamount Road residence and world’s most expensive family home, will soon have competition from Anil Ambani’s new house at Bandra’s Pali Hill. Antillia towers hover almost all of south Mumbai at 170 m, if Anil’s 150 m new house gets the clearance, it would dwarf everything in its sight in Bandra. Ravi Muthreja, spokesperson for the Anil Ambani-controlled Anil Dhirubhai Ambani Group (ADAG), confirmed that the plot on the Nargis Dutt road will house a residence for Anil Ambani and his family. The 1537 square meter plot where the Ambani house is being built came to their possession in early 2000, when Reliance gained control of BSES. Members of the Pali Hill Residents Association (PHRA), who are opposing the project, revealed that the Ambanis have got permission to build a 66 m tall structure and applications have been moved to raise the height to 150 m.
Meanwhile, they are building their case to oppose any move to allow Anil’s house to rise to 150 m. According to them the building will affect the water reservoir which supplies water to the Bandra and Khar residents and would also be in flight path of the planes. Anil Ambani currently stays with his wife, sons and mother at the 17-storeyed Sea Wind building at Cuffe Parade. On the road to rapid recovery from recession, many large IT firms are signing up big commercial real estate deals in different parts of Bangalore. According to sources, Accenture has committed to take 8 lacs square feet in Pritech Park on the Outer Ring Road in Bangalore. HP and Wipro are said to have recently taken 2.5 lacs square feet and 1.2 lacs square feet respectively in Pritech. The east and south of Bangalore has been the traditional IT belt, but now the north too is buzzing. IBM, Cognizant, Accenture and HP will be renting space in the second phase of Manyata Embassy Business Park near Hebbal. IBM has committed to 5 lacs square feet of office space in Manyata phase II. The Big Blue has already occupied 3 lacs square feet in the first phase of the park. There is a lot of demand from IT sector as it continues to expand at the highest rate in Bangalore. Real estate consultancy CBRE estimates that Bangalore has seen absorption of 6.8 million square feet of office space this year. Experts predict that the pan-India office space demand over the next five years is estimated to be about 240 million square feet. Tier I cities such as, Bangalore, NCR and Mumbai are expected to account for 46% of the total demand. Kolkata and Chennai are likely to see higher growth rates though, with suburban locations having attractive price points, according to a Cushman & Wakefield report. In a press conference today, Realty firm Chintels India Ltd. said it will invest about Rs 310 cr over the next 3 years to develop a residential project in the National Capital Region. The company has already acquired 12.3 acres of land for Rs 103 cr. Chintels India Ltd. has been active in the field of real estate in the NCR since 1992. “This project will be developed in a location next to our ongoing township with Sobha Developers at Gurgaon. We will invest about Rs 205 cr in construction work of this group housing project,” Chintels India Joint Managing Director Prashant Solomon told PTI. Chintels Serenity, group’s housing project will house 555 flats of 1,720-3,200 square ft., with prices between Rs 64 lacs and Rs 1.2 cr. Construction is likely to start from May next year. Currently, Chintels India, has a land bank of about 450 acres, and is developing one integrated township and four group housing projects in association with Sobha Developers in Gurgaon. Godrej Properties Limited (GPL), real estate segment of Godrej Group, has revealed its plans for the development of residential housing project at Mohali in Punjab, involving a capital of about four hundred and fifty crore rupees. The company also has future plans for several cities, including NCR, Mumbai, Bangalore, Pune, Chennai and Chandigarh for development of residential projects in line to cash in on the growing demand for housing from urban sector. “We are looking to develop a residential project in Mohali with a minimum land of 20-25 acres…we are in talks with certain land owners here for (entering into a) joint venture in this project,” stated the company’s MD Milind Korde. GPL is already in the process of developing its first Rs 400 crore commercial project in Chandigarh, going to be completed by September next year. Company’s focus towards growing in the real estate sector of northern region can be realized from the fact that it has set up a 3,500 square feet office which will take care of its projects in northern region. GPL, has presence in 11 cities across country, and plans to develop 83 million square feet of area in the span of next 8 to 10 years. It seems Godrej Properties is also keen on redevelopment of real estate projects particularly in Mumbai as they revealed their plans to go into redevelopment of areas like old buildings, cooperatives society houses and slum area in Mumbai. The company’s has other ongoing projects in Gujarat, Mangalore, Kochi, Chennai, Gurgaon, Pune, Bangalore, and Hyderabad. The much acclaimed bi-annual India realty exhibition is going to be held in Dubai from 9th to 11th of December 2010, at Renaissance Dubai Hotel, deira, with the motto of “Your dream home in India now comes with a guarantee”, a great platform for Indian developers and HFIs trying to reach out to affluent Gulf NRIs. The expo is organized bi-annually by, MCHI (Maharashtra Chamber of Housing Industry) a trusted name in the area of Indian Real Estate exhibitions and a member of CREDAI (Confederation of Real-estate Developers’ Associations of India). MCHI is one of the leading housing and developers’ associations in India with a membership of over 450 leading developers. This event is India’s only OFFICIAL Property Exhibition in Dubai. Each of the participating developer in the expo is bound by a commitment of compensation for any delay in giving possession of the purchased property. This year’s exhibition will focus on ready under properties with clear titles from both affordable end properties. An opportunity to meet reputed developers who are members of MCHI or their respective State Associations in India (CREDAI) , to find affordable luxury homes from Rs.15 lacs to Rs.80 lacs+, ready and under construction flats with attractive payment options, on the spot loan approvals and low interest rates, zero brokerage, luxurious 5-star ambience, ample parking space and free valet parking are among the few reasons MCHI suggests to attend this expo. Buyers of residential properties, individuals and companies looking for commercial properties and corporate houses, pursuers of lifestyle and décor concepts , leading real estate developers, builders, contractors and real estate agents as well as government officials and policy makers, Architects, interior designers, consultants to mention a few, can attend the exhibition. Residential properties real estate developers from the tier I and tier II cities of India, commercial property real estate developers from Mumbai and across India for spaces such as office blocks, infrastructure parks, shops, industrial galas, it parks, SEZs, corporate houses, entertainment parks, leisure properties, financial institutions , leading housing finance corporation, banks consists of the participants of the expo. This event is organized by- MCHI, member of CREDAI, Co-Organizer is HSBC with Platinum Partner -HDFC & Media Partner- The International Indian. Other participants include – Hiranandani, Kalpa-taru, The man group, Rustomjee, Sanghvi group, Nahar group, Nirmal lifestyle, Runwal group, K raheja corp, Marvel realtors, G corp group, Hiranandani upscale, Jaycee homes, Acme housing, Db realty, Akshay group and Bajaj group are to name a few. After the loan scam was unearthed last week, realty developers and companies providing home loan are finding it difficult to raise money from retail investors through corporate fixed deposits, despite offering coupon rates close to the maximum permissible limit of 12.50%. The retail investors have become very cautious of the investments they make in the corporate schemes in the real estate sector. The schemes which were popular among the investors are also suffering from this blow. Realty majors like Ansal Housing & Construction , Ansal Properties, Jaiprakash Associates and Unitech are offering coupon rates in the range of 10.5-12 .50%. Godrej Properties is said to be offering 8-9 % as interest on deposits. In future the real estate companies may have to face more strict checks and laws say investment experts. They also fear that the real estate companies will have to suffer if the alternative sources of funding are blocked. This may lead to the fall in actual sale of properties. As one of the consequences of correction in overall property prices the realty developers may have to replenish margins that have fallen and will have to either borrow money or build more property in order to fill the gap in the lost margin.